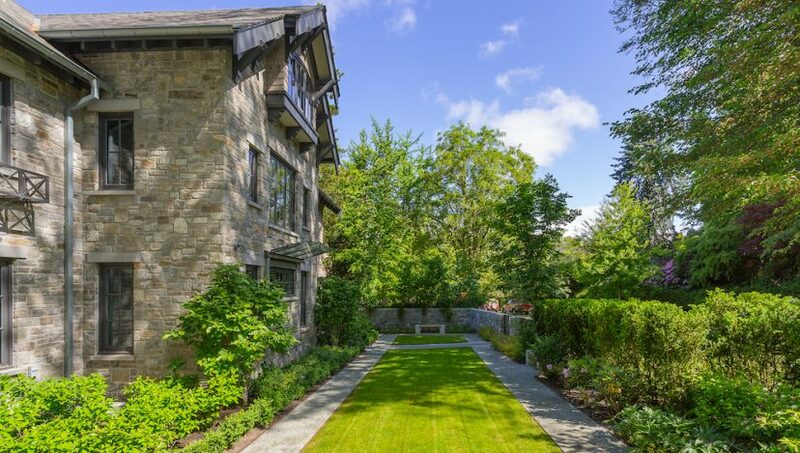 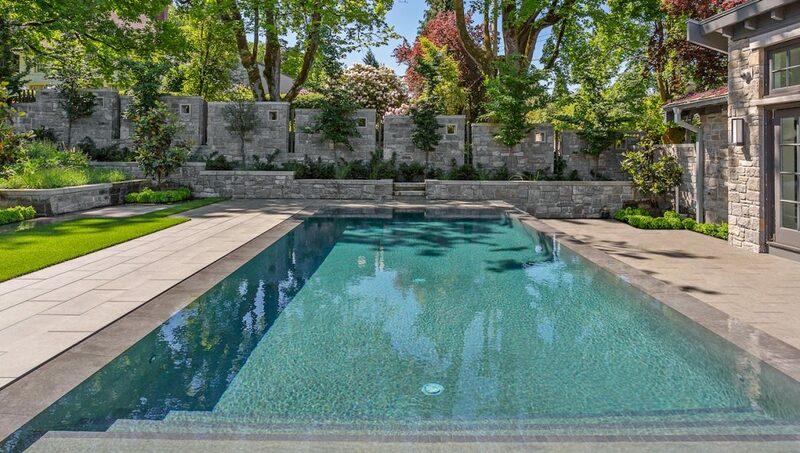 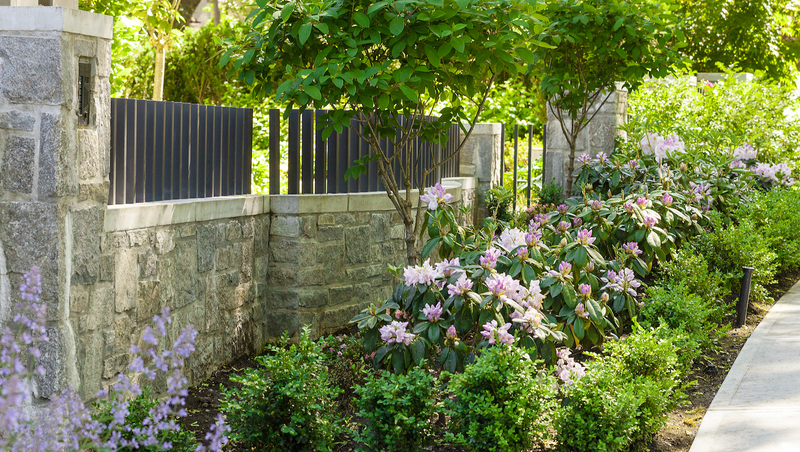 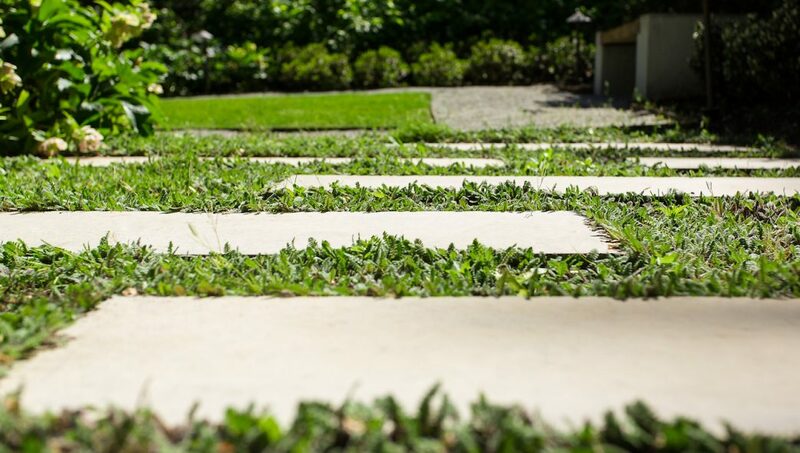 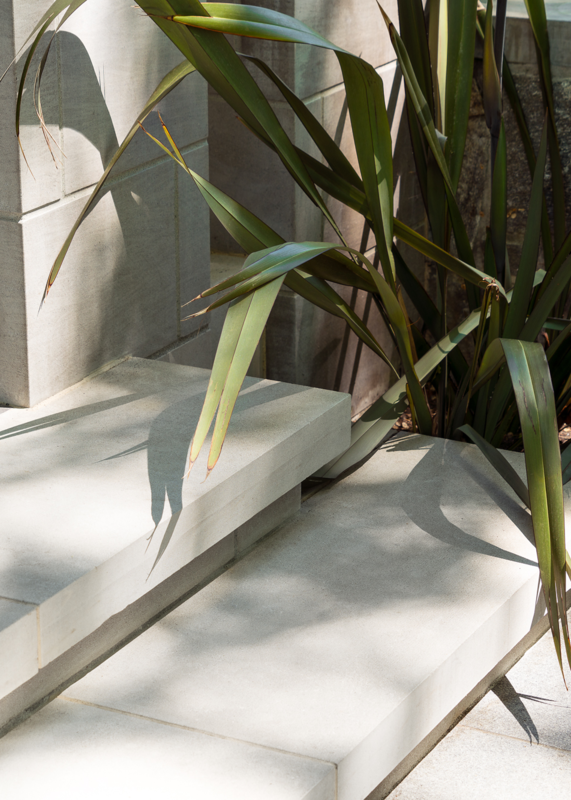 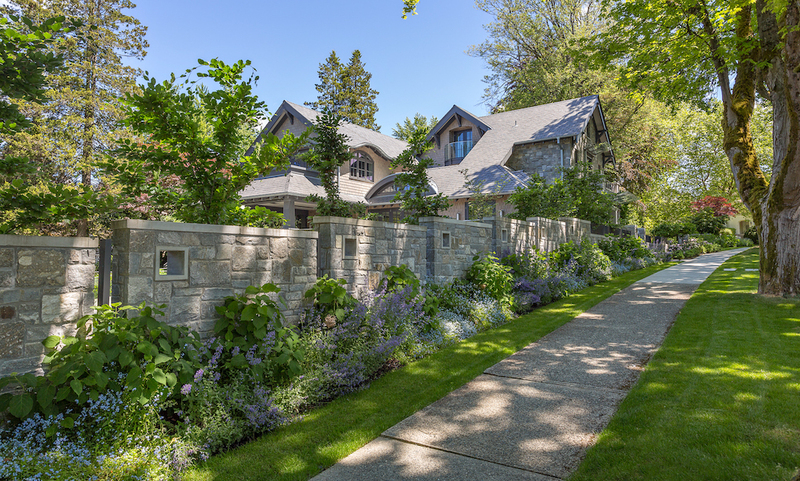 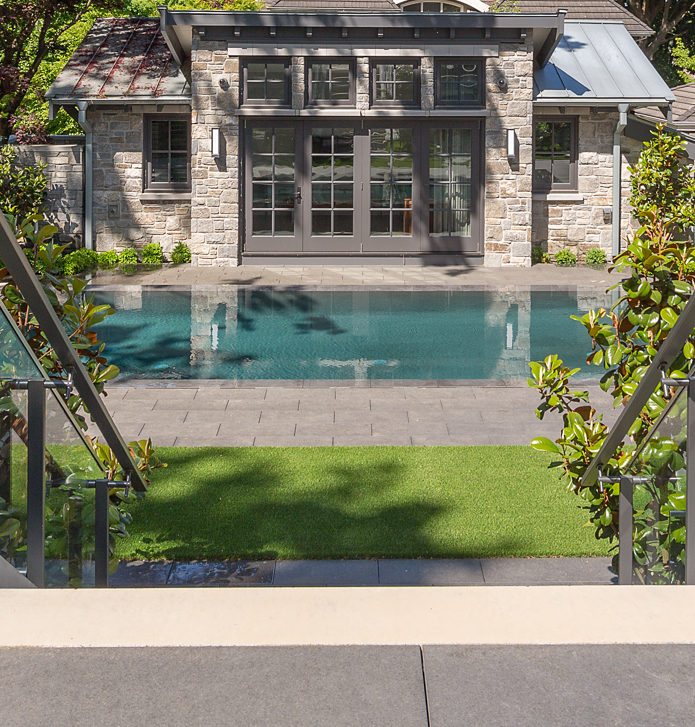 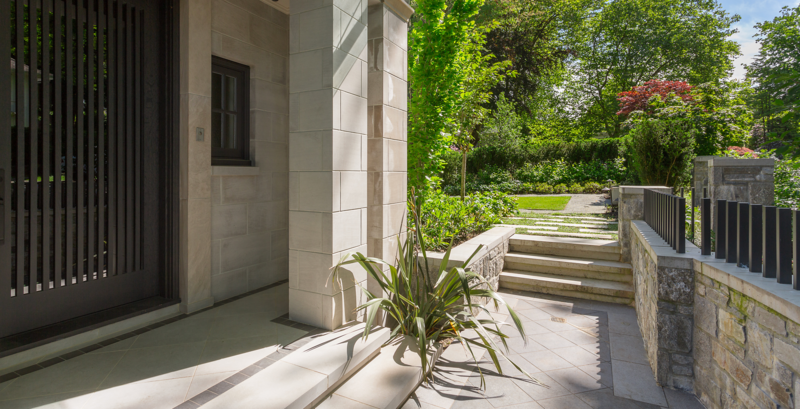 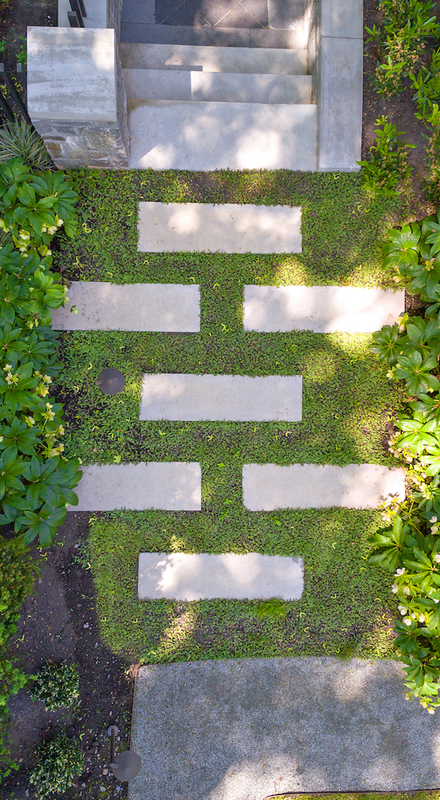 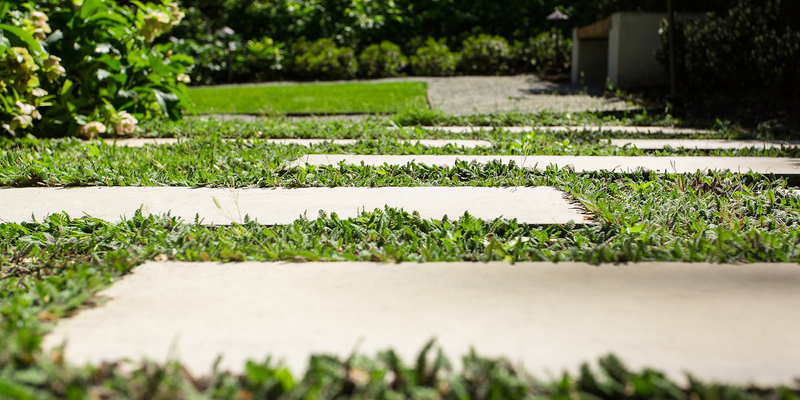 A modern yet timeless garden highlights this Shaughnessy manor with double-sided, free-standing natural stone walls following a distinct rhythm and visually connecting the architectural expression of the home to the outdoors. 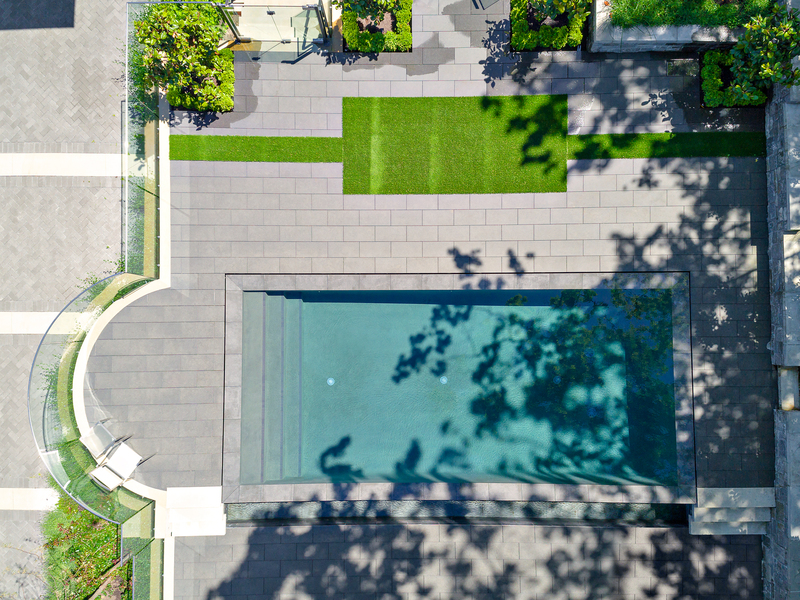 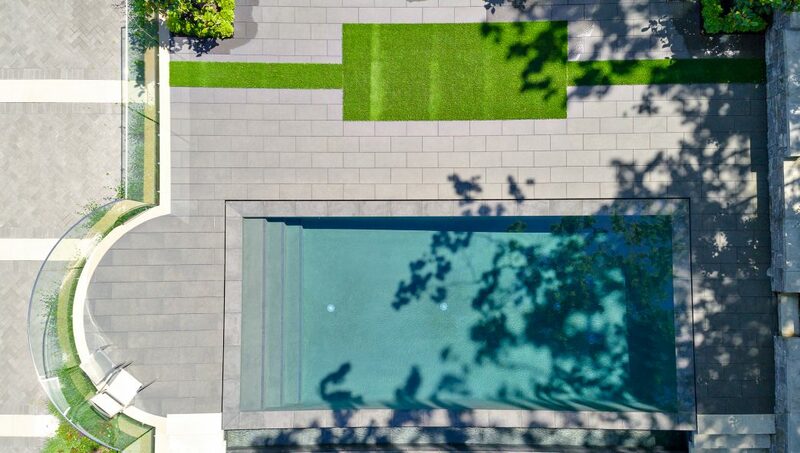 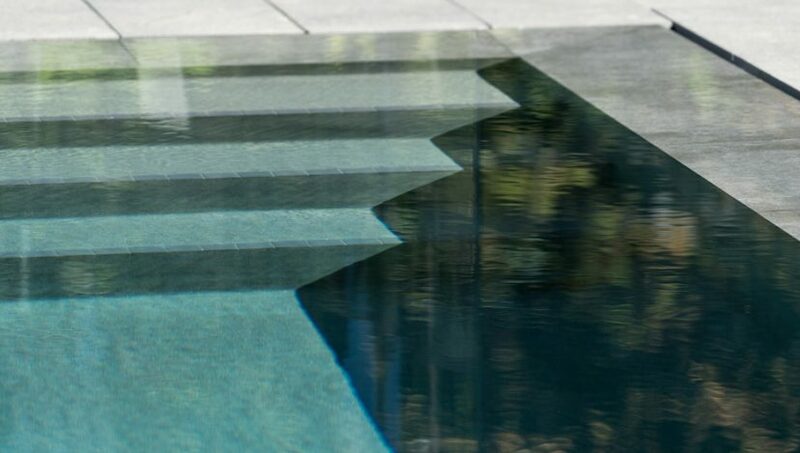 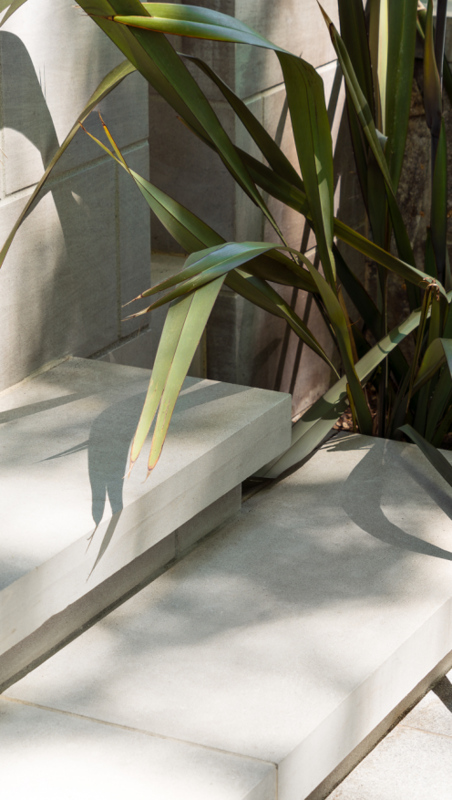 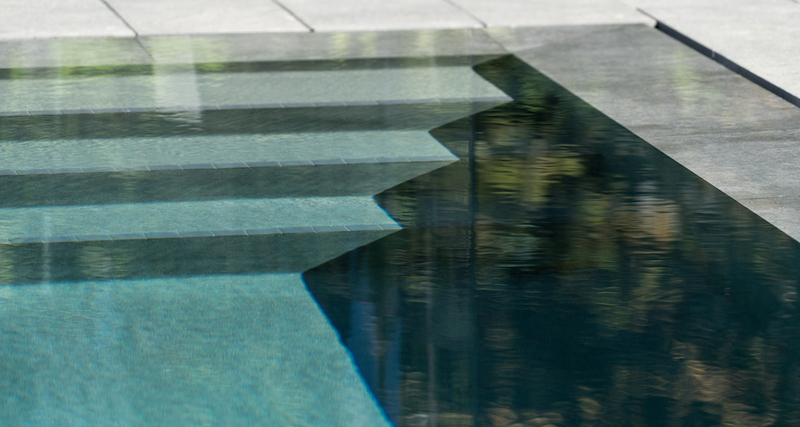 The planting scheme is lush with dynamic texture, colour, and play, ultimately leading to a zero-edge pool with seamless deck. 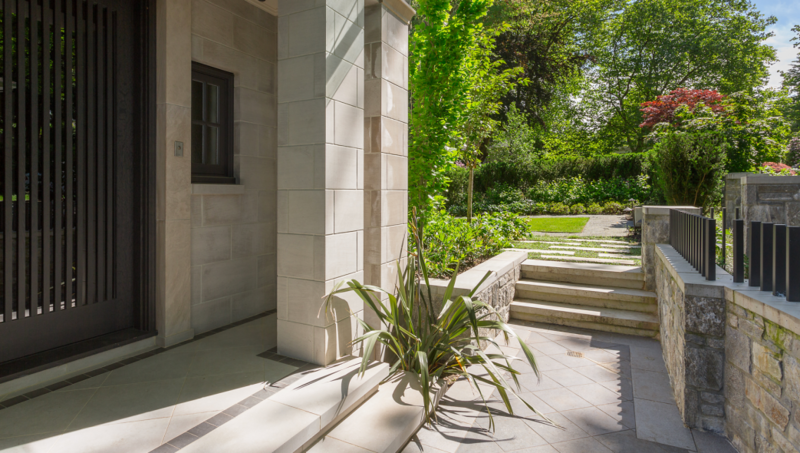 This feature can be seen from primary rooms within the home, ensuring year-round enjoyment.